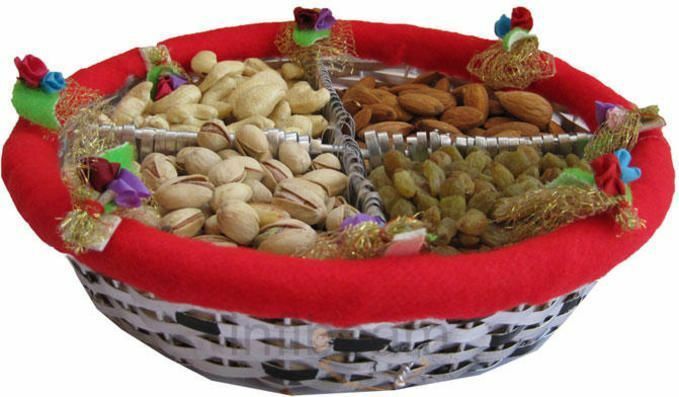 Silver basket is decorated with red velvet and hand made small rose leaf and golden net. It is really attractive to re-use for any other purpose. This basket contains Cashews, raisins, Almonds and salted Pistas 50 gms each.